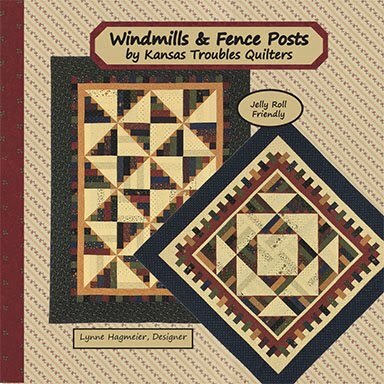 Kansas Troubles Quilters: On Meadowlark Pond - Coming Soon! 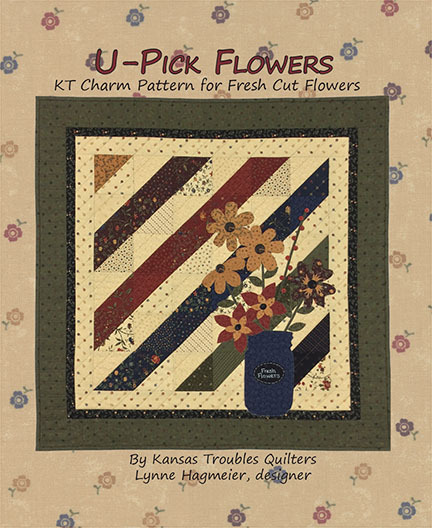 KT's newest fabric collection, On Meadowlark Pond, is coming soon to a quilt shop near you. We're looking for a mid-February arrival of bolts and precuts with a colorful breath of spring in KT's freshest colors yet. Click HERE to download the chart of prints and fabric numbers. To read this SKU chart, the print number is on the left side with the color number across the top. 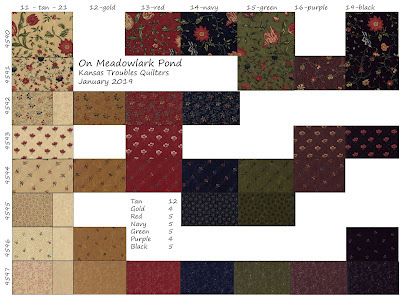 If you're looking for the main print for On Meadowlark Pond in black, it's #9590-19 (print#-color#). Print and keep for a handy wish list. 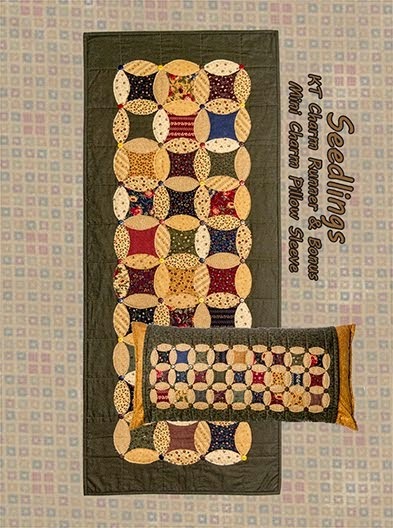 The featured project for this collection is Meadowlark's Song. One of Robert's collections is bird feeders, so we are never without the songs of nature around our yard. The meadowlark's melody is a favorite. 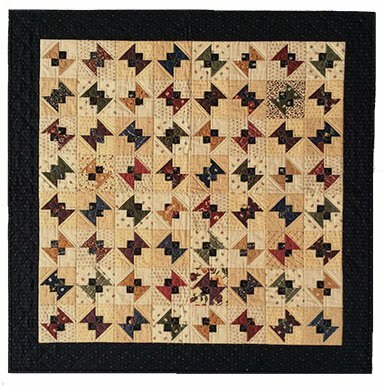 Traditional piecing and strategic color placement create a dynamic quilt that sings spring every day in your home. 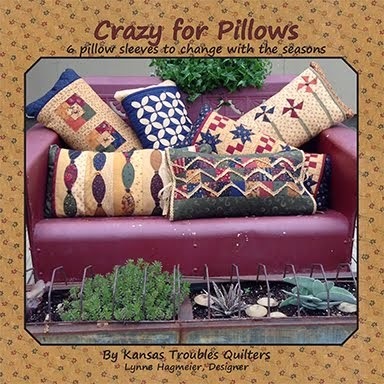 Patterns & kits are available as soon as fabric arrives. 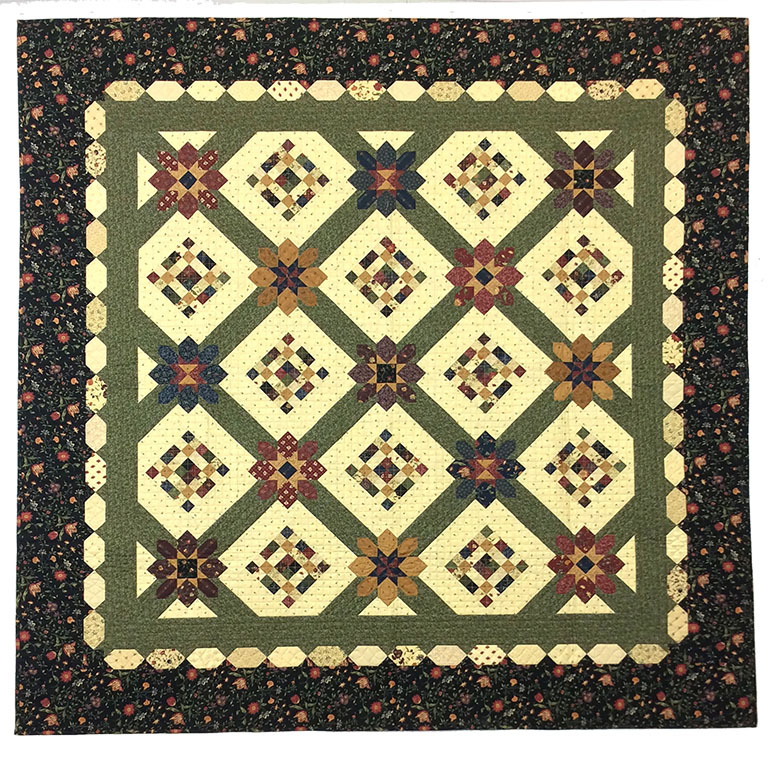 Win a Meadowlark's Song pattern by commenting here. Thanks to everyone who follows along with my blog. I love hearing from you and appreciate your input. What do you want to see from Kansas Troubles in the future? What's your favorite KT fabric or pattern? Where's your favorite place to buy KTQ? 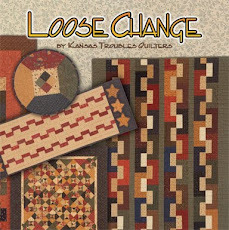 Another gorgeous fabric line and I love the pattern, too! 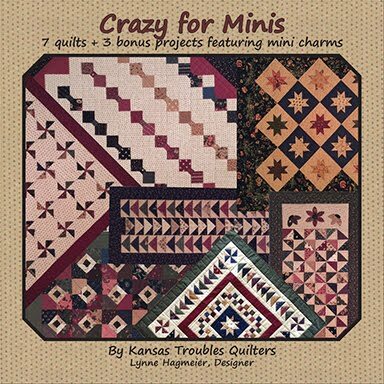 I just LOVE this new collection...I have a nice stash of many of your collections just waiting for a pattern...This pattern would be a great one to mix all of your collections. Love the plums and greens in this collection! I have always liked your fabric and what a prefect pattern to showcase your fabric. Love the new quilt!! and the fabric too!! 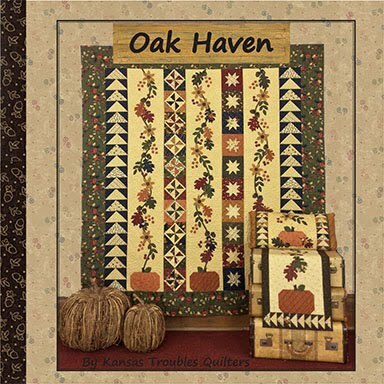 I think that my all time fave would have to be the oak haven. Fall is my fave time of the year. Your oranges & plums are my favorite. For background fabrics I prefer your lighter ones. I find that some of your more solid looking reds, blues & green mix well with other fabric lines. My pattern preferences are ones that don't use the raw edges of the fabric. 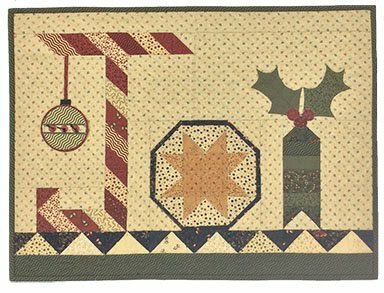 The Meadowlark's Song pattern looks like a fun one to make. I love your Blockhead blocks. Your fabrics choices make the blocks look wonderful. The new pattern is lovely. It showcases your new fabrics perfectly. I will be looking for these locally in the next few weeks. Thanks for sharing. Sew excited about your new fabric line. 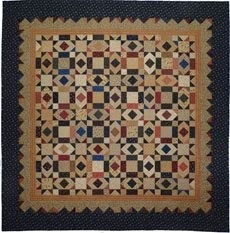 I would love to add this pattern to my quilting library. thanks for the giveaway. I love all the rich colors of Meadowlark Pond and the pattern is perfect...it’s on my list to buy! 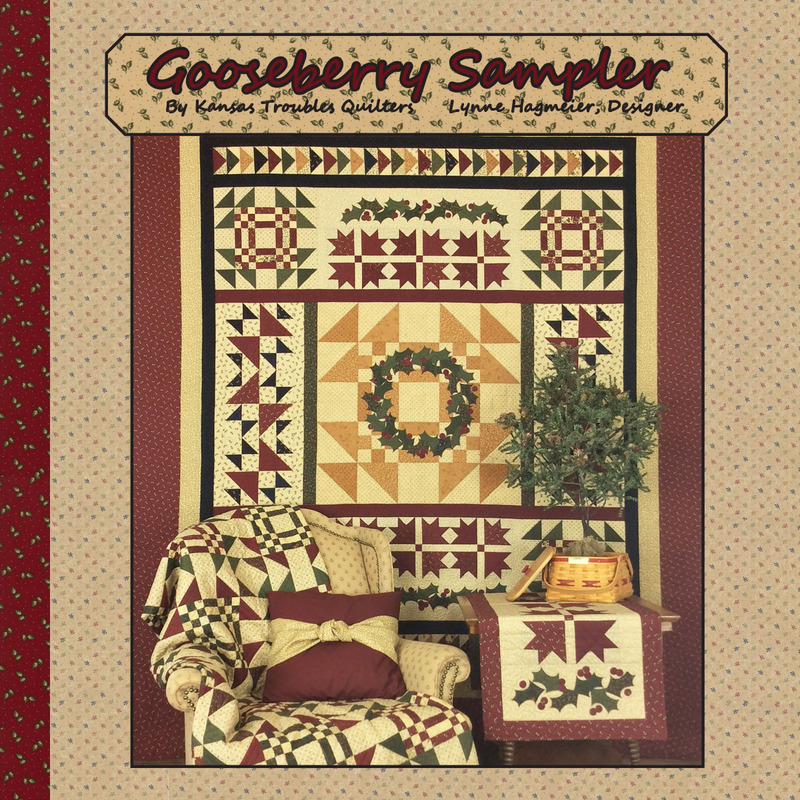 Too many favorites to pick just one :) I also like Autumn Days from Stary Night and the Gooseberry sampler is fantastic! Your prints look so warm and cozy....they compliment each other in many combinations. Thank You for such great inspiration!! Beautiful fabrics and I love this pattern! 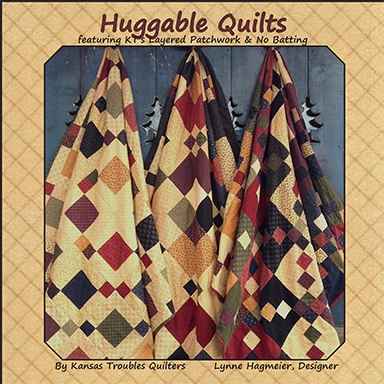 I love all of KTQ fabrics, especially the range of colors. I wish there were a few more lights, though. I generally buy the fabrics at my local quilt shop, The Wooden Bridge. I love and miss the sound of meadowlands. Growing up it was just a part of the sounds of summer. Now, living where I do, there don't seem to be any around. I love the colors in Meadowlark Pond. The greens, plum, and blues are my favorite colors and they work very well in this pattern together. 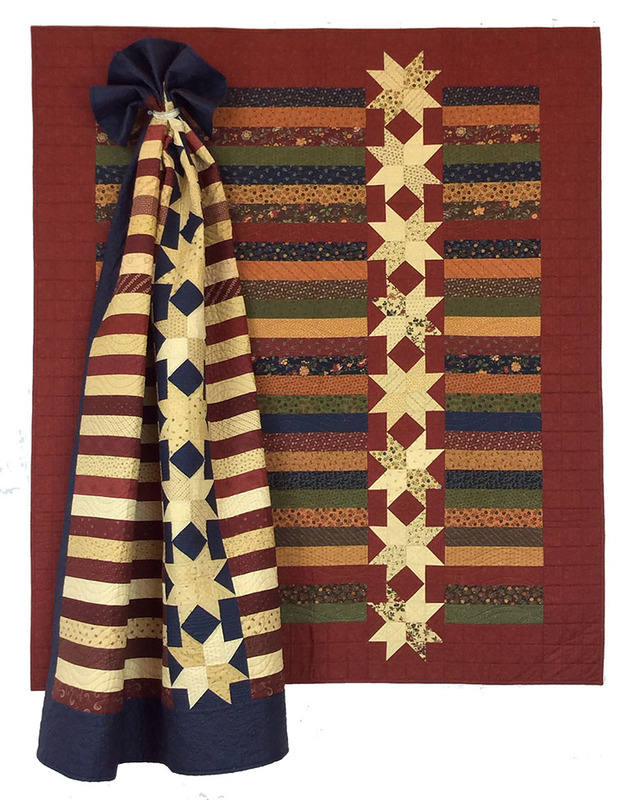 What a beautiful quilt, and the fabric is just as beautiful. I love birds and watching them also. The meadowlark was my late Mother's favorite bird and a couple of years ago my sister and I traveled to Custer State Park in SD and the meadowlarks sang to us as we toured the park--a memory I will never forget. Love Robert's quilt. We too are bird lovers & enjoy them at our kitchen bay window at every meal time. Love the way your fab collections all fit together. A new, beautiful fabric line to get us through the winter. You continue to come up with new fabric lines that sing all on their own or when paired with some of your earlier lines. The Meadowlarks Song pattern is beautiful! This is a beautiful fabric line, my favorite for quite a long time. 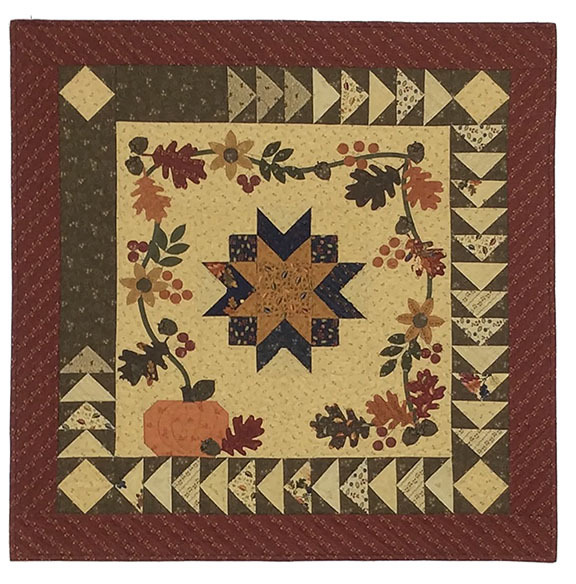 The Meadowlark's Song quilt is wonderful. There are so many new patterns that come out all the time, but this is by far the one I have liked the most. It is a must-have and a must-make for me! Love it!! 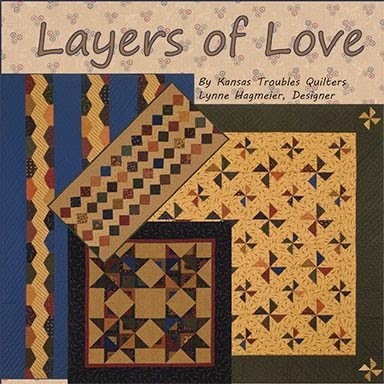 When I started quilting a number of years ago, it was your fabric lines that sparked my interest! Your colors and fabric designs just speak of nature, home and all things cozy. I really, really like your new pattern. 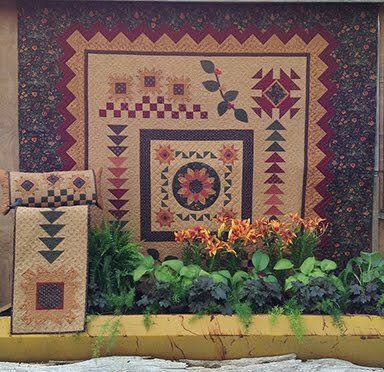 Beautiful quilt pattern and gorgeous fabrics. Thanks for sharing. Love having so many of the tans to complement the rich colors of the deeper saturated ones. Bravo! This new pattern is quite stunning, and the starbursts remind me of irises, one of my favorite flowers. Can't wait to get this on your site! Love these! I'm glad to see there are more lighter colors. It's really hard to fid a lot of these. Mid-February can't get here fast enough!! :) Beautiful collection, can't wait!! 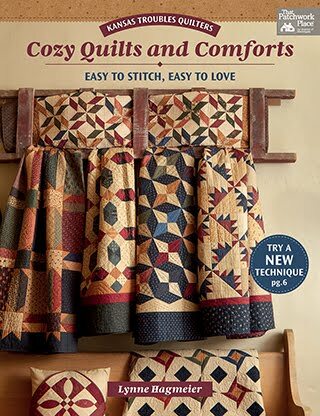 I love the new pattern, and can't wait for the new fabrics to arrive at Patchwork Garden in Amherst, NY! I especially love the reds and oranges, golds and the tan neutrals you have in all of your lines!! Meadowlark fabric is gorgeous! Can't wait to pick some up at my local fabric shop! Meadowlarks are a favorite of mine. Such a peaceful sound. 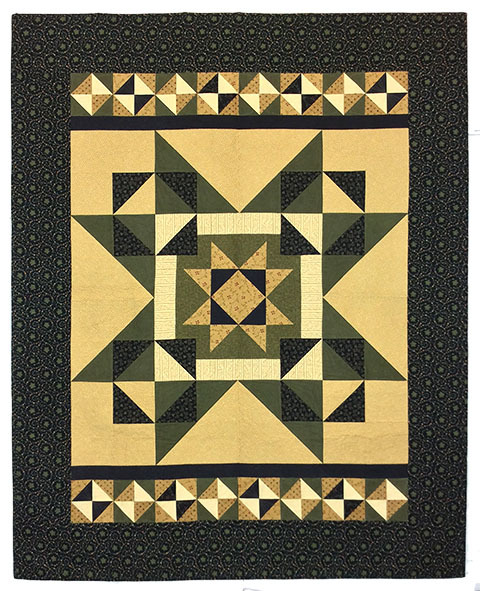 Another great quilt "Meadowlark's Song". It is so pretty ! I haven't followed you for long, so this new pattern and collection are my current favorites! Do you ever do QAL's? Love these colors, and the pattern is so pretty! My husband's favorite bird is the Meadowlark, so I definitely need to make this! I love the purples I’ve been seeing, and this new pattern is amazing. I am buying most of my reproduction prints on-line at Missouri Star right now because my local stores are a bit limited. 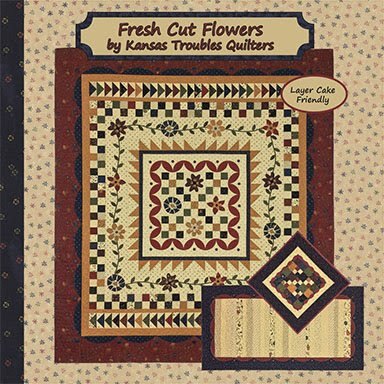 I’m a fairly new quilter and so drawn to the traditional styles and colors of Kansas Troubles fabrics and patterns. Oh, I love this new pattern!! 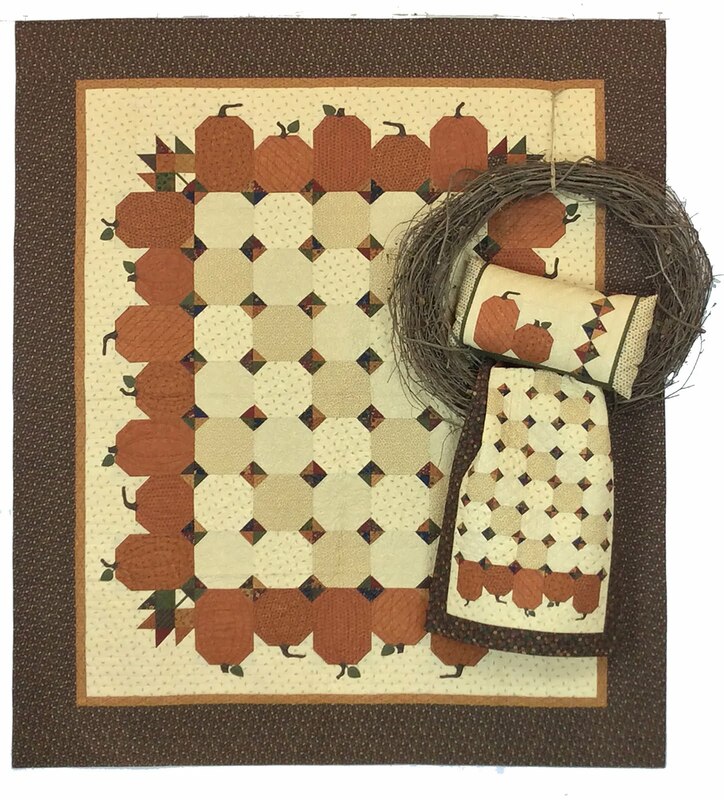 Your fabric Lynne is so comforting and rich - just like a truly blessed home would feel like! I love creating with it all!! I love your purples. And your layered patchwork patterns. 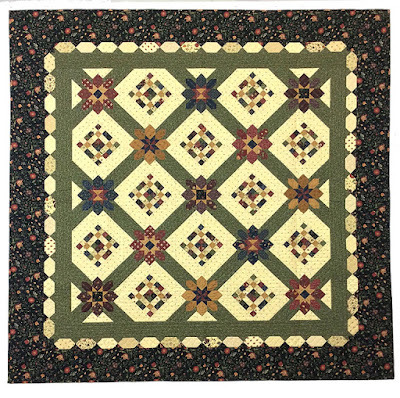 .my first quilt i made was with the bees and bloom line 5 and dime patttern....i buy your fabric mostley from my local quilt shop..little foot in Pa. I try to support our local shops as much as i can..i cant wait for her to get the meadowlark kits..this one is so on my got to make list. I love this new line and the pattern is very pretty. 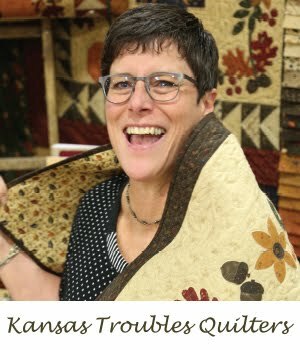 I usually buy my KT fabrics from my local quilt store. Your traditionally pieced patterns are my favorites. Lovely new fabric collection! I especially like the golds. I think that they are all wonderful. Eye of the Storm is a fun pattern. Meadowlark is wonderful. It's like picking a favorite child. Can't do it. I love the new line of fabric and the pattern Meadowlark's Song is very pretty too. 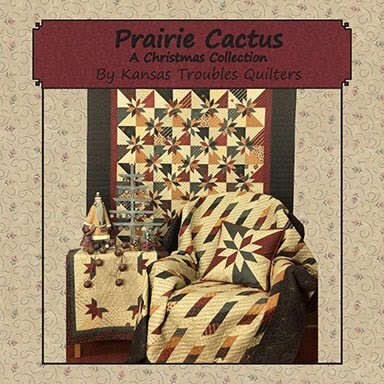 Kansas Troubles has always been my favorite fabric. What a lovely line! 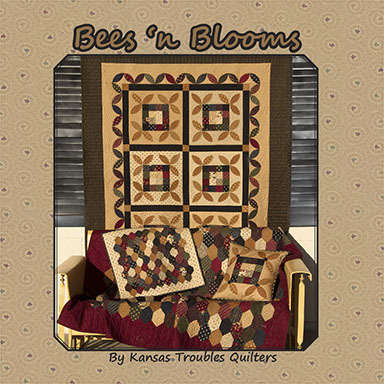 I really have loved Bees and Bloom and many other of your lines and purchase them from my local quilt shop! Looking forward to this new one! Love these fabrics, but I always love your fabrics! I love all your fabrics and this one looks wonderful as always. While I especially love your tans & purples, I would like to see more birds & butterflies in the fabrics. My favorite places to buy your fabrics is my LQS Rosemary's Fabrics and online Fat Quarter Shop. 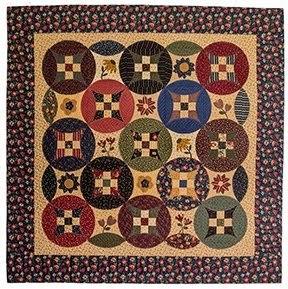 What Beautiful quilt. Can't wait for the release of these gorgeous fabrics.